This is review No. 16 of 16 in the first round of our competition. Each review will compare four burritos, with my favorite advancing to Round 2. 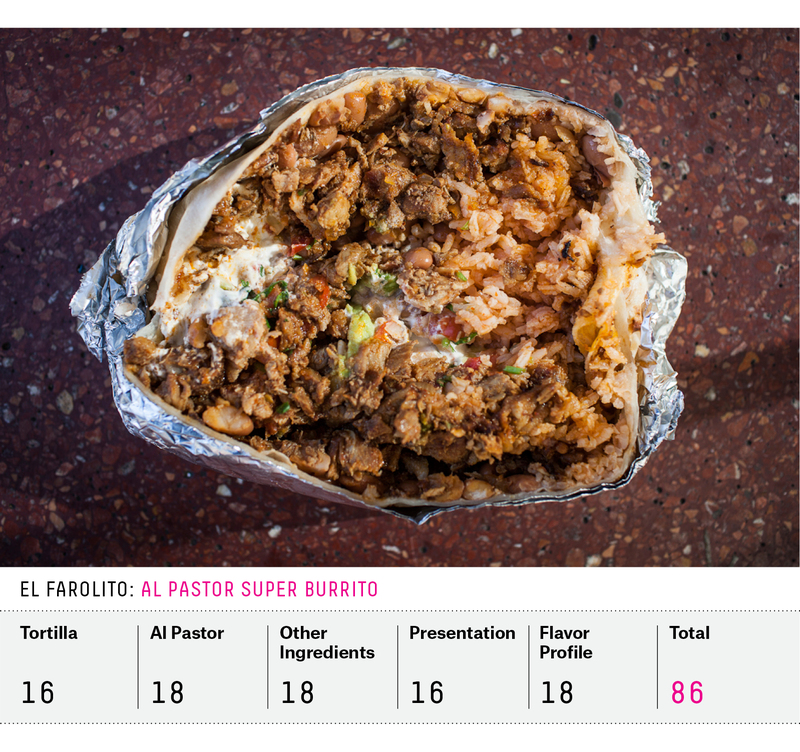 In the final review for Round 1 of the Burrito Bracket, I visit the No. 1 seed in the California region to find out whether it’s really worth all the hype. On the drive to Sacramento, I watched the outside temperature on the dashboard climb from 92 to 104 degrees. When I reached California’s capital city, I was greeted by blast-furnace conditions and a glaring setting sun, not my ideal burrito-eating weather. Chando’s Tacos came to the rescue, with a hose full of holes misting customers while they waited. 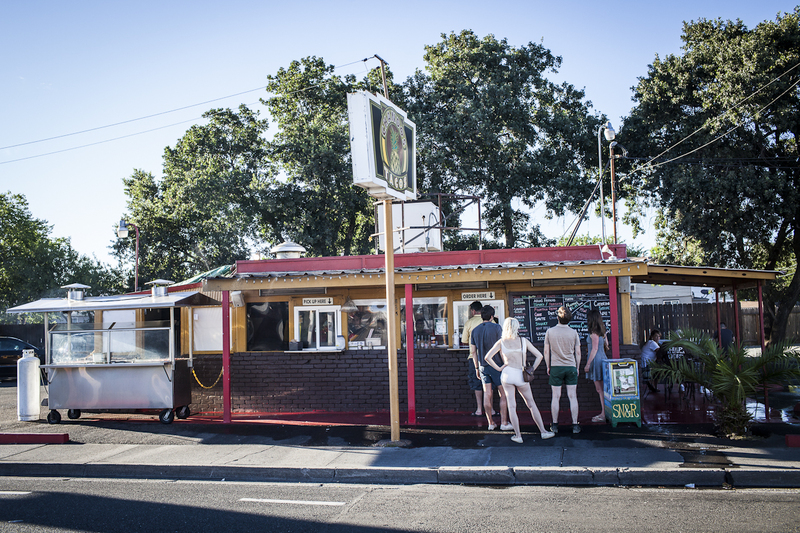 The original Chando’s is on Arden Way (there’s another location and a food truck these days), a five-lane road, busy with trucks, that runs east and west just north of downtown. A little red and yellow hut faces the street, and a line of customers read from a chalkboard, deciding what to order. Taking my place in line, I chatted with the guys in front of me, Mexican construction workers on their day off. One ordered al pastor, and the woman behind the counter explained that al pastor and adobada are one and the same at Chando’s (the menu calls it adobada). The two often mean something different; adobada is pork in a chili-based marinade with vinegar and spices, while al pastor is marinated in pineapple, chile and spices. In some parts of Mexico, the preparations converge. 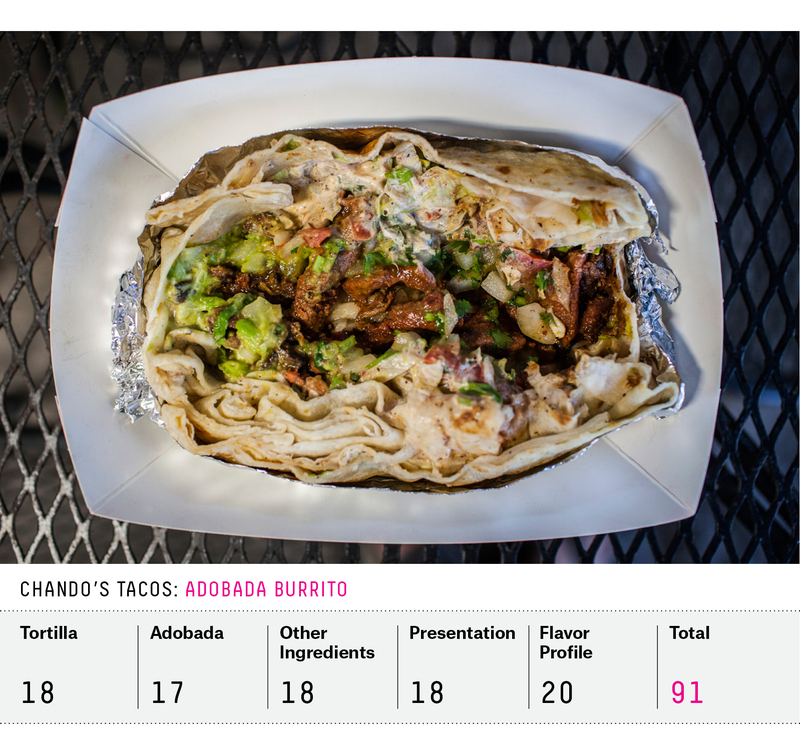 At Chando’s, they marinate the pork in adobada, then slow cook it with pineapple. I took a seat on a back patio, which is fenced in so you don’t notice the sea of parking lot around it, and waited for my name to be called. What was served was a knockout. A tortilla griddled until it had a crisp, brown shell on the outside was loaded with cilantro, onion and tomato. Thin crema and chunky fresh guacamole made a bed for tender chunks of pink, spicy pork. True to the shared nomenclature, it sang notes of sweet pineapple, but was also bathed in deep, earthy chili pepper sauce. A steady stream of customers kept the cook at the grill and the food fresh. HRD Coffee Shop is hidden in an old coffee shop near Interstate 80’s approach to the Bay Bridge. The space has been left intact from its previous life, complete with swivel chairs, a coffee counter and orange seat covers. Open Monday to Sunday until 3 p.m., it draws lunchtime crowds that stretch down the block and around the corner. Hip hop classics play on the radio and a sign on the door lets patrons know HRD was featured on “Diners, Drive-ins and Dives” in June. On a recent visit, smoke from grilled chiles and spices hung in the air, tickling my throat and lingering on my clothes, assuring me there would be some real heat in my order. 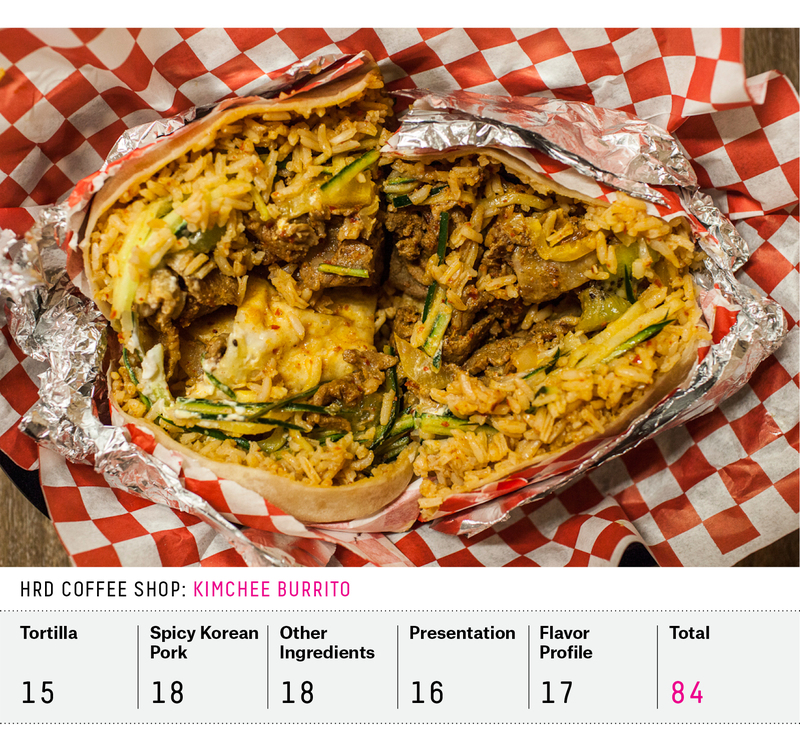 The chef’s specialty is the smothered burrito with katsu, but the crowd favorite is the kimchee burrito. Of the meats on offer, I preferred the spicy Korean pork, though bulgogi beef is serviceable. The burrito comes cut in half and wrapped in red and white checkered wax paper. Julienned pieces of cucumber were packed thick on one side, thin, curly slices of spicy pork dusted with flecks of spicy red chili piled on the other. Sprouts and pickled daikon added a bit of crunch elsewhere. A sweet and tangy yogurt-like sour cream and bits of kiwi joined forces to cool the heat. The tortilla was a bit thick and gummy at the beginning, and became tough before I could finish. As I walked out of the restaurant, a father and daughter explained to a waitress that it was their first time there, and asked what they should order. “If it’s your first time, you have to get the burrito. It’s what we do,” the waitress replied. Several picnic tables in front led to the small counter/kitchen area, where I ordered several super burritos (the super adds cheese, sour cream and avocado) with different kinds of meats. 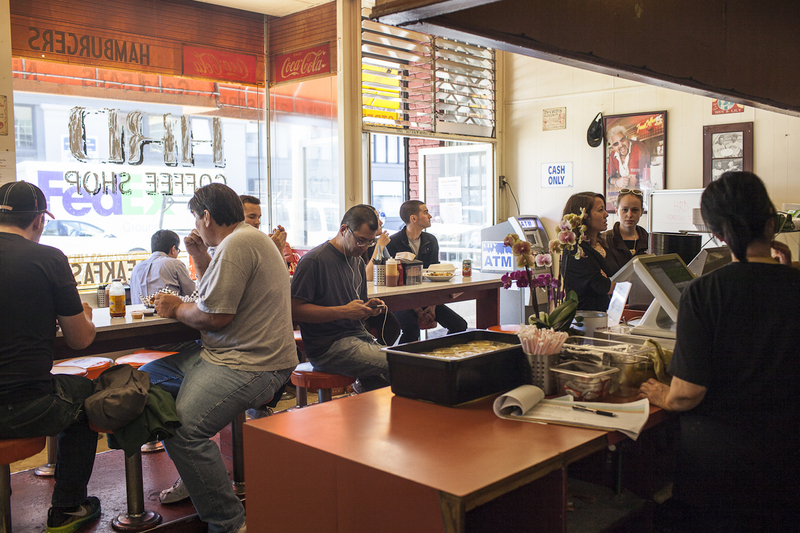 As at the greatest of taquerias, they were all tasty — plump, juicy chicken, stringy and rich carnitas, smoky carne asada. But ultimately it was the al pastor, fiery red with bright chile flavor and a kiss of sweetness, that won me over. Cancún uses rice, lots of it, but it was moist, evenly distributed and flavored with tomato and cumin, making it an appealing addition. The pintos were tender and plump, the crema thin, seeping into every corner. Thick slices of avocado, not guacamole, lay throughout and found their way into each bite. The tortilla was beautifully griddled, flaking off on the outer layers. It all came together in a deliciously solid bundle with a personality big enough to rival that of its nighttime clientele. Taqueria Cancún is renowned for sumptuous chicken and vegetarian burritos, difficult feats and rarely available this delicious. It’s cash only, but an ATM in the corner will help you out if you show up with a plastic-filled wallet. El Farolito is an Internet sensation. 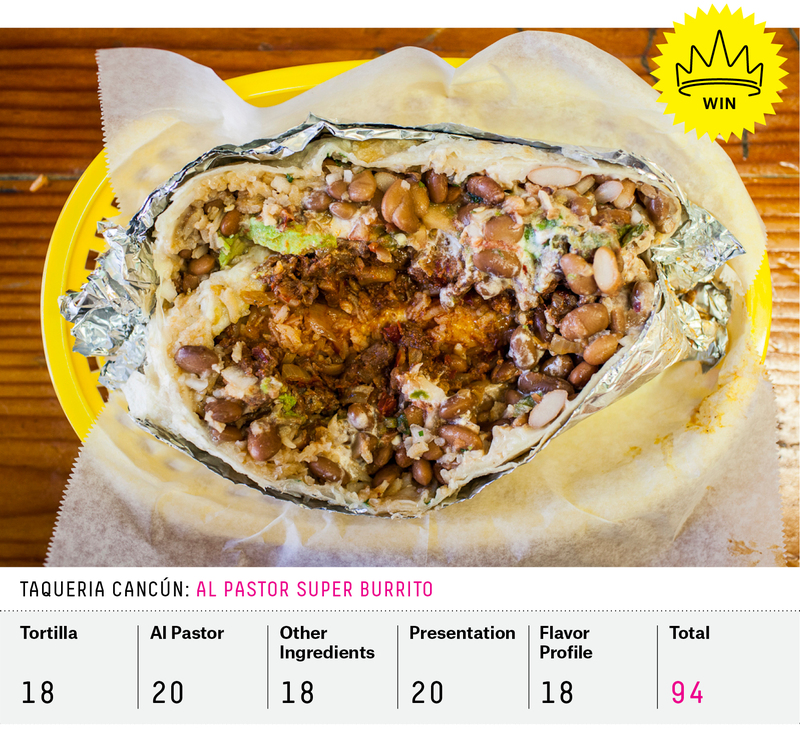 Its overwhelming Value Over Replacement Burrito score was by far the highest in the nation, earning it the No. 1 seed in California. The online love is backed up by huge, hungry crowds. I’ve been to El Farolito many times, but never during peak hours. So on a Wednesday night, I went with five friends, waited in a sea of people that flowed out the door, ordered burritos and a dozen beers, and found a couple of booths to wait. While in line, you can watch the grill master at work, laboring over flames and smoke in the front window of the restaurant. The rest of the kitchen does a dance behind a clear plastic shield, cooking, preparing and plating a dozen different dishes. In the seating area, conversations vary from the ridiculous exclamations of drunken 20-somethings to the quiet exchanges between bites of local families too busy eating to talk much. Our order came out balanced five baskets high on the forearms of one of the workers. None of the burritos was labeled, so we all ate a few bites, then swapped our plates around until we had our requested dish. Again, I tried several options (the chicken was dull, the carnitas delicious but oily, the carne asada expertly charred). And again, it came down to the al pastor. The pink pieces of pork were surprisingly heavy on chile, pineapple and cumin flavor. Supple pinto beans swam in thick, creamy sour cream in places, a hefty portion of rice was heavily seasoned with tomato. There was no effort to distribute the ingredients evenly, but thick and plentiful slices of avocado nearly made up for the shortcomings. The salsas were fresh and chunky, a creamy tomatillo with hints of avocado, a simple red with little heat. 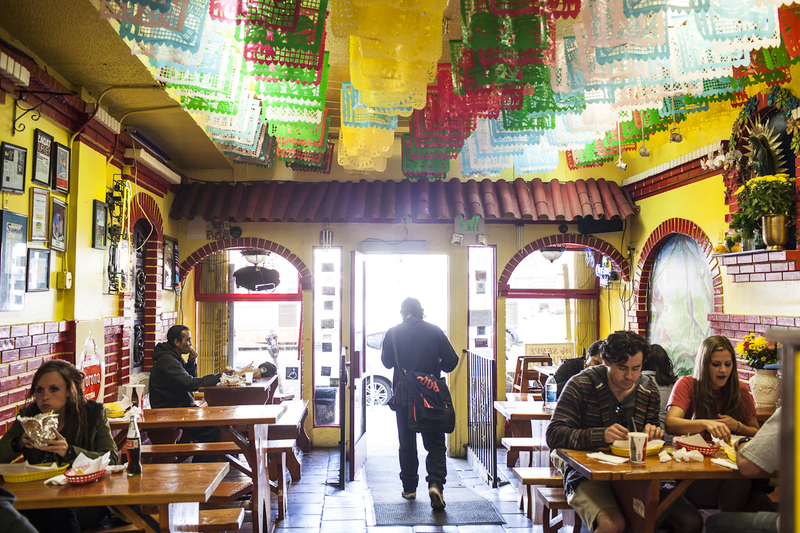 As we were finishing up, one of the friends, a taqueria enthusiast and San Francisco native, turned to me and said, “I’ve never been here sober before. This is actually pretty good.” Good it is. Maybe even great. But not good enough to beat Taqueria Cancún. 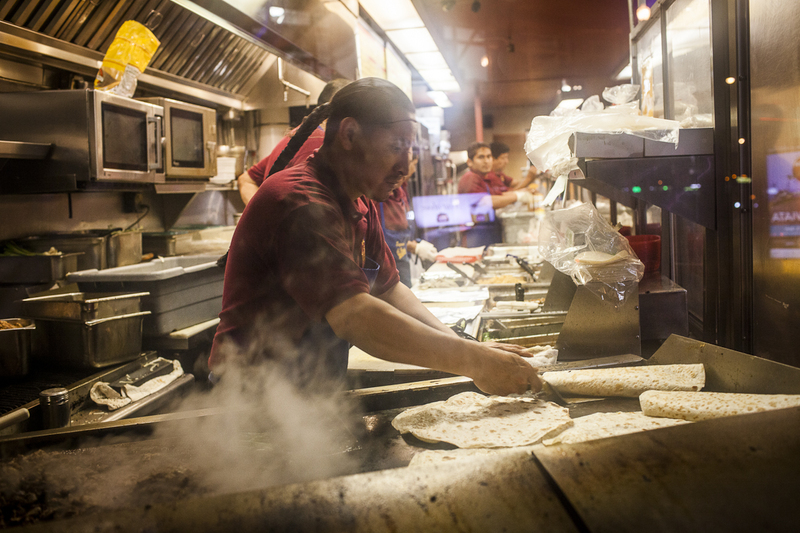 The love put into each of the ingredients, as well as great construction, will take Taqueria Cancún to the next round.